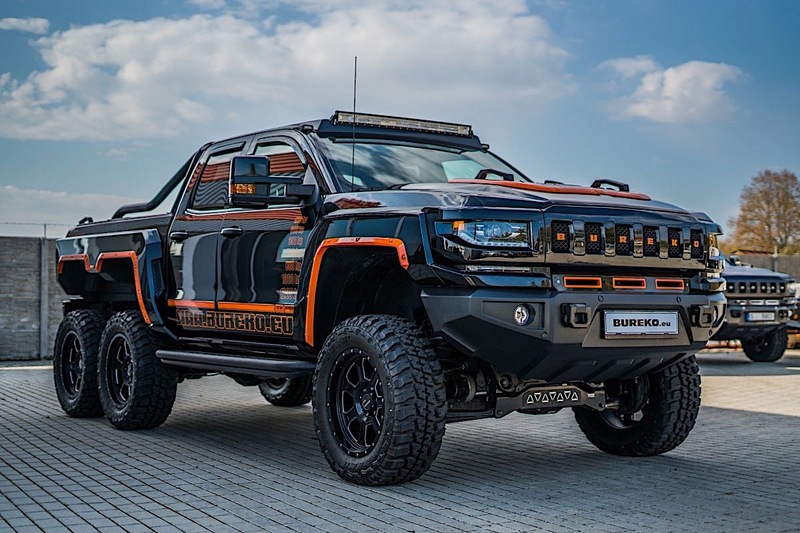 Chevrolet Silverado-Based Bureko Pickup Truck Has 6 Wheels and 1200 HP, Because Why Not? Go ahead, live out your wildest truckin' dreams. Four-wheel drive pickup trucks are so passé, and pretty much everyone knows that six-wheel-drive trucks are all the rage right now—at least that's what Mercedes-Benz and Hennessey have taught us in recent years. But what if you want a different kind of 6x6 pickup? Well, the Bureko is exactly what you need. 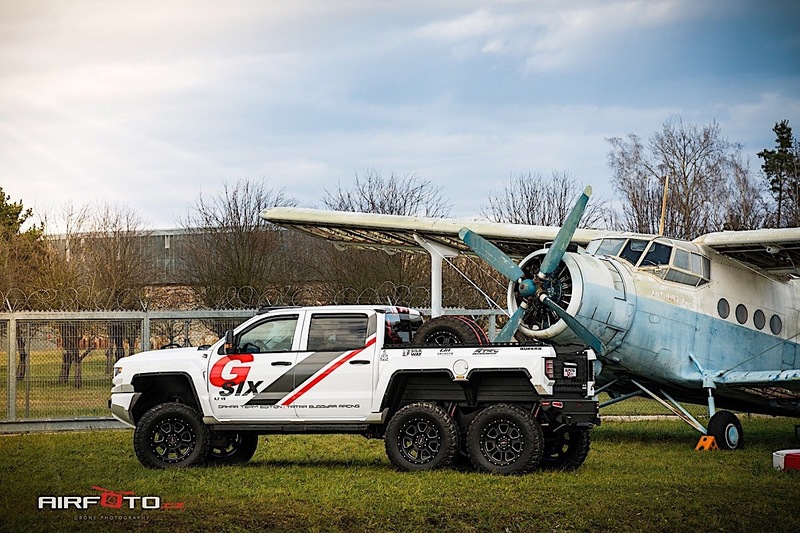 Spotted by the folks over at CarBuzz, the Bureko is a last-generation Chevrolet Silverado set up in a 6x6 configuration. In addition to the two additional wheels, the truck makes a whopping 1,200 horsepower and sports aggressive bodywork that allows it to go virtually anywhere. Of course, longer-travel suspension and off-road wheels and tires are also part of the zombie apocalypse package. 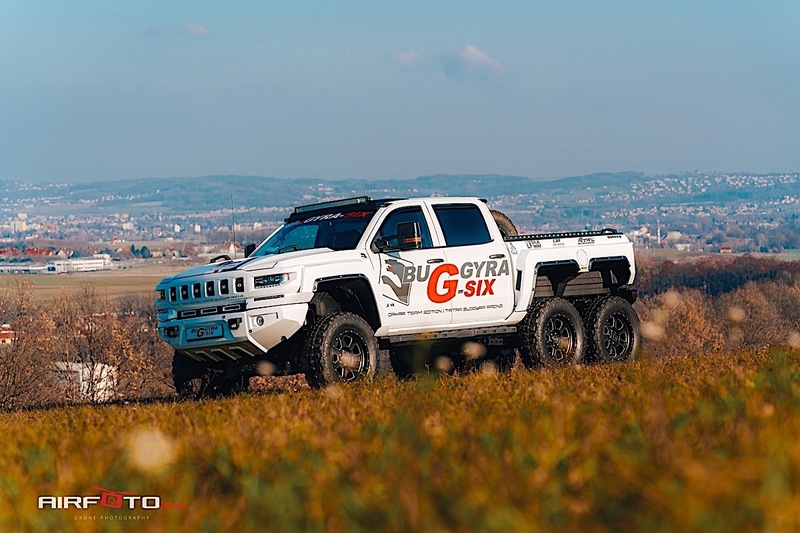 The Czech Republic-based company dropped a 6.2-liter Chevy V-8 that produces 420 horsepower in stock form, but buyers can purchase upgraded performance options that range between 600 and 1,000 horsepower. A bored-out 7.0-liter monster is the primo engine tuned to reach the 1,2000-horsepower mark. In our eyes, the Bureko has a body kit that appears to be inspired by previous Jeep and Hummer designs. A little of futuristic flair is added in, especially with the squared-off fenders and colored trim piece. Interestingly, buyers will be able to choose from the Double Cab design or the larger Crew Cab on their builds. For such a niche product, it's surprising that the company plans to offer several cab configurations, adding complexity to the truck rather than sticking with one general size. This isn't the company's first 6x6 build, but rather their third, and previous models included designs that looked even more like the Hummer H2. The last model went out of production in 2017 to make way for the current Silverado model. Pricing isn't currently available, but you know how it goes: if you have to ask, it probably isn't the right fit for you. Who would've thought that the world would need this many different 6x6 offerings, but we aren't complaining. Would you take this over the 6x6 Geländewagen or the Velociraptor? Is the Driver of This Mercedes-Benz G 63 AMG 6×6 the Parallel Parking Champion of the World? It's unclear if the owner or valet positioned the 19-foot-long beast between the two columns, but does it really matter?